The Smartphone Train is Leaving the Station. Are You on Board? For the first time ever, companies are shipping more smartphones than computers. Nearly 50% of US online consumers are now advanced users of smartphones and social networks–up from 32% in 2008. Over 60% are using their phone to find local businesses. If your business isn’t optimized for mobile, you better run to the ticket counter. NOW! With Google’s $12.5 billion purchase of cellphone maker Motorola, this train is quickly going to achieve warp speed. In the last quarter, more than 43% of smartphones sold globally used Google’s Android technology (Apple’s iPhone accounted for about 18% of sales), but imagine what will happen when Google starts making its own phone and tablet computers with Motorola’ 17,000 mobile technology patents to pave the way! Your mobile page should have a clean and simple design that is easy to navigate. There are several options available to do this, including automated systems, plug-and-play platforms and mobile website redirect codes. Once you’ve claimed your business on Google Places, Foursquare, Gowalla, Facebook Places and others, you can start using these platforms to run mobile promotions. You can’t fully understand mobile marketing until you use mobile marketing. Download the Starbucks mobile payment app and use it to pay for your next cup of coffee! Mobile ad campaigns can be bought on a cost-per-click, cost-per-thousand, or cost-per acquisition basis. Any of the popular advertising platforms like AdMob will walk you through the distinctions. QR (Quick Response) barcode squares can be scanned by smartphones with your phone’s camera after you download and launch a “QR Code Reader.” They drive you through to mobile web pages that offer discount coupons, bonus content, special offers, or other additional content. 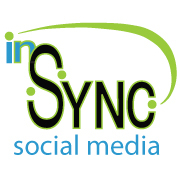 Add them to your mobile marketing campaign! 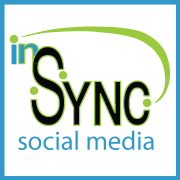 If Mobile Marketing still seems a little complicated, just give In Sync a call and we might just be able to help! The 8 Steps Local Businesses Must Take To Compete in a Digital World. This Presentation Explains it All.